A little more than a year ago, President Donald Trump sent his first budget request to Congress, outlining his administration’s priorities and proposing major cuts to historic preservation and many other domestic programs. 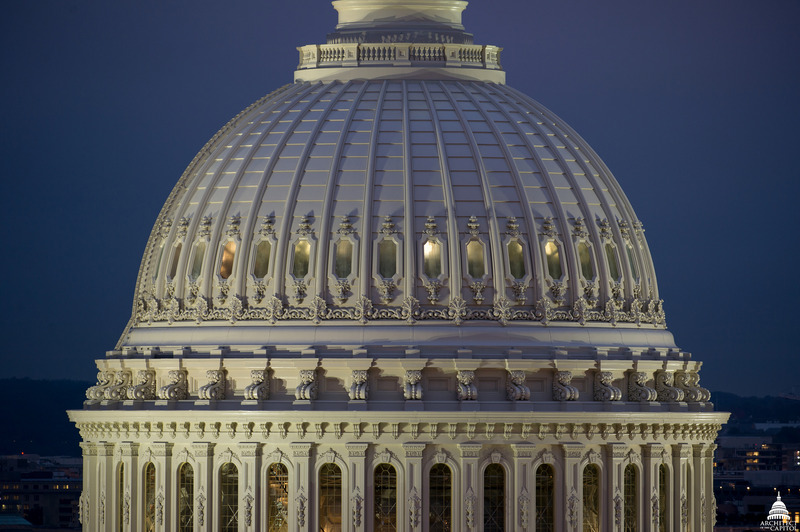 After five stop-gap spending measures and two brief government shutdowns, Congress finally approved an omnibus appropriation bill this week setting funding levels for FY18 nearly six months into the fiscal year. The bill brings great news for preservation: it largely rejects proposed cuts and instead provides substantial increases to the Historic Preservation Fund (HPF) and other key priorities thanks to a February budget agreement that eased spending caps. The omnibus provides $96.9 million for the HPF—an increase of $16 million from FY17 and the highest amount ever provided. Within that amount, state historic preservation officers receive $48.9 million and tribal historic preservation officers receive $11.4 million—a $1 million increase for each compared with FY17. HPF grant programs also see meaningful funding despite the administration’s proposal to eliminate it. Within the overall HPF funding, historically black colleges and universities (HBCUs) receive $5 million, an increase of $1 million from the last fiscal year. Grants to document, interpret, and preserve historic sites associated with the Civil Rights movement hold level at $13 million. Grants for underrepresented communities also remain level funded at $500,000. The Save America’s Treasures grant program, which was funded for the first time in seven years in FY17, receives $13 million—an $8 million increase. Finally, the HPF includes new funding of $5 million for preservation grants to states, local governments, tribes, or community nonprofit organizations for the revitalization of historic properties of national, state, and local significance. National Park Service Deferred Maintenance: The omnibus makes a meaningful down payment on deferred maintenance in our national parks. The measure builds on increases for two key accounts that the National Trust for Historic Preservation has advocated for in recent years. The Repair and Rehabilitation account and the Cyclic Maintenance accounts were increased by $10 million and $15 million, respectively, compared with FY17. Taken together, they receive roughly $100 million more than they did just three years ago. In addition to these successes, the omnibus adds $138 million to the construction account specifically to address deferred maintenance. Separately, the omnibus also provides $300 million within the Department of Transportation for nationally significant transportation projects in national parks, on other federal lands, and for tribes. Transportation needs account for roughly half of the National Park Service (NPS) deferred maintenance backlog. NPS Cultural Programs: Cultural programs at the NPS receive $25 million, an increase of $500,000 above FY17. Programs within this account include National Register Programs, the National Center for Preservation Technology and Training, Native American Graves Protection and Repatriation grants, Japanese American Confinement Sites grants, and American Battlefield Protection Program assistance grants. New Park Sites: The omnibus includes funding for new park units, including the Birmingham Civil Rights National Monument and Freedom Riders National Monument, both of which were designated in January 2017. Bureau of Land Management National Conservation Lands: Base funding for the Bureau of Land Management’s (BLM) system of national conservation lands—which includes national monuments, National Conservation Areas, wilderness, wilderness study areas, National Scenic and Historic trails, and the Wild and Scenic Rivers System—remains levelly funded at $36.8 million. BLM Cultural Resources Management: The BLM’s cultural resources management program receives a $1 million increase to $17.1 million in the omnibus. The BLM oversees the largest, most diverse, and most scientifically important collection of historic and cultural resources on our nation’s public lands. The cultural resources program funds important activities, including National Historic Preservation Act Section 106 reviews of land-use proposals, compliance with the Native American Graves Protection and Repatriation Act, and government-to-government consultation with Indian tribes and Alaska Native governments. Land and Water Conservation Fund: The omnibus affirms bipartisan support for the Land and Water Conservation Fund (LWCF) and boosts funding to $425 million, an increase of $25 million above FY17. The LWCF is one of the most effective but least well-known tools for preserving historic places. Funding from the LWCF allows the NPS, the BLM, and other agencies to bring lands into public stewardship. It’s the primary means for building and growing our national parks and public lands to reflect the stories of all Americans, and it has preserved sites associated with the Civil Rights era, women’s rights, and military history; Native American cultural landscapes; the homes of presidents; and much more. State and local governments use the LWCF to plan and build parks close to home. The LWCF also funds acquisition grants through the American Battlefield Protection Program, which receives level funding of $10 million in the omnibus. Federal Land Transaction Facilitation Act: In addition to funding BLM programs, the omnibus also included a legislative provision to permanently reauthorize the Federal Land Transaction Facilitation Act (FLTFA). This land exchange program allows the proceeds of sales from certain BLM lands to be used to acquire high-priority conservation lands. Those lands must be within or adjacent to national parks or other public lands in the West and must preserve historic and cultural resources, conserve wildlife habitats, provide recreational access, or create other benefits. The FLTFA has benefited cultural sites like Canyons of the Ancients National Monument as well as historic trails including the Lewis & Clark National Historic Trail. National Heritage Areas: Despite the administration’s proposal to eliminate federal support for the 49 National Heritage Areas, the omnibus provides $20.3 million for the Heritage Partnership Program, an increase of $500,000. Advisory Council on Historic Preservation: Funding for the Advisory Council on Historic Preservation is slightly decreased to $6.4 million. National Endowment for the Arts and National Endowment for the Humanities: Although the National Endowment for the Arts (NEA) and the National Endowment for the Humanities (NEH) were targeted for elimination in the president’s budget request, Congress instead increased each agency’s funding to $152.8 million. The NEA is expected to use its $3 million increase to expand its Creative Forces: Military Healing Arts Network and to increase grants for tribes and rural and underserved areas. The NEH is expected to use its $3 million increase to expand work with tribes preserving Native languages and cultures as well as to support other local history preservation initiatives. Institute for Museum and Library Services: The omnibus provides $240 million for the Institute of Museum and Library Services, an increase of $9 million from FY17. Community Development Block Grants: Funding for Community Development Block Grants is increased to $3.3 billion, $300 million above FY17. Preservation advocates have much to be proud of in recent months, including saving the historic tax credit; increasing historic preservation disaster relief grants from the $17.5 million proposed by the administration to the $50 million ultimately signed into law in February, and securing important increases to preservation programs in this omnibus. But our work continues. FY19 begins October 1, and the administration’s budget request for FY19 doubles down on many proposed cuts to preservation programs. Congress has shown no desire to enact such steep cuts, but it’s critical that preservationists continue advocating for resources and for the continuation of key programs like the LWCF, which is set to expire at the end of the current fiscal year. Tom Cassidy is the vice president for government relations and policy at the National Trust for Historic Preservation. Janelle DiLuccia is the associate director of public lands policy at the National Trust.